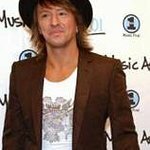 Bon Jovi guitartist Richie Sambora is auctioning off a special concert package to raise money for a young New Jersey girl who is suffering from a brain cyst. Kelly Mahon, a senior from Woodbridge High, underwent a massive 14-hour operation last fall to remove the cyst. However, following complications, the teenager had to be heavily medicated and kept on a respirator. Although still hospitalized, she is off the respirator and doctors say she may be able to go home soon. Sambora – who is also a Woodbridge High graduate – has offered two Bon Jovi packages for next week’s shows at Madison Square Garden to help raise funds for Kelly. Each package includes four tickets, four side-of-stage seats, four autographed T-shirts signed by members of the band, a Bon Jovi autographed guitar, and the chance to meet Sambora backstage before the shows. The 49-year-old guitarist will be on hand to auction the packages at 9 am today, Friday July 11, on WPLJ (95.5FM) in New York. The starting bid for each is $1,500, and the number to call to place your bid is 1-800-321-9755.